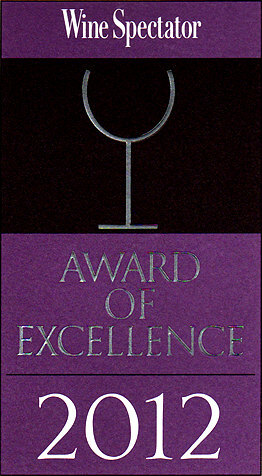 The Blomidon Inn is proud to be a recipient of the Wine Spectator’s Award of Excellence for 2012. We have received an award every year since 1999. The Wine Spectator’s awards are based on the wine selection, how appropriate the selection is for a restaurant’s food menu and the range of wine available. With over 400 different wines available our Sommelier Michael Laceby has put together a fine selection to find the perfect wine paring for any meal. Don’t know a thing about wine? Not to worry, Michael makes it easy. There is a wine suggestion with each main course option on the dinner menu. Further, the Blomidon Inn offers gourmet wine tasting dinners from time to time. At one of these dinners, you can not only have an enjoyable meal, but learn about how wines and foods can be chosen to enhance the dining experience. .
As part of the growing wine region of Nova Scotia we are excited to offer local wine selections for your dining experience. You can even plan a weekend wine getaway with us by visiting some of the local wineries and then retiring to the Blomidon Inn for a gourmet meal and a good night’s sleep. Come to the Blomidon Inn and see why the Wine Spectator recognized us for this award.